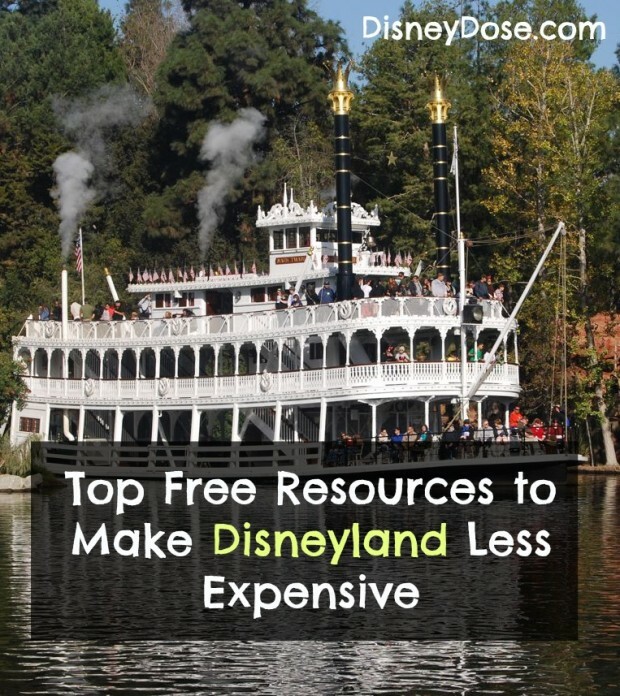 Today I am happy to share my top ten free Disneyland resources to improve your vacation. After our years of visiting the parks I have put together a list of the tools that we have used for years and others that we have created to improve your time at Disneyland. When we made our first trip to Walt Disney World we used Touring Plans at price of $12.95/year. I realized how important it is to know the crowd levels for the days that you are visiting the parks. When we returned from that trip, I found a free alternative for Disneyland called Busy or Not. It provides a day-by-day ranking of crowd levels for both Disneyland and Disney California Adventure park so that you know the historic crowd levels before you arrive. 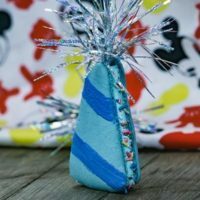 I’m launching a brand new site called MickeyVisit.com where you can find all of our Disneyland planning information in step-by-step fashion. On that new site I included a page where you can submit your questions about Disneyland and we’ll answer them. Be sure to click here and visit that page if you have any questions about planning. Another fun website to use before you arrive is Disney-Pal. This site provides information on each land, restaurant, and attraction that is found at the resort with images and videos. I suggest using this before your trip to find fun facts and information to get you excited. Make sure to listen to some of the audio clips to really get you in the mood. With the evolution of smart phones came the introduction of Disneyland wait times available on smart phone apps. This is a must for those who want to reduce the amount of time that they spend in line waiting once they are in the parks. My favorite app to reduce the amount of time that I spend in line at Disneyland is most certainly MouseWait. The original wait times app, MouseWait provides the line times for the top attractions, food stands, and the nearest restroom. See our other article about reducing the amount of time that you spend in line at Disneyland. I have been working tirelessly to secure exclusive Disneyland area hotel discounts for MickeyVisit and DisneyDose readers. I’m happy to say that many hotels have begun to offer discounts and the first ones will be available to our newsletter subscribers soon. Subscribe to the NEW MickeyVisit newsletter to get access to the exclusive discounts when they become available. This Disneyland monthly calendar includes all of the information that is most important to take into consideration when booking a Disneyland vacation. The calendar includes information regarding weather, crowds, and varying park hours. This is another one of those resources that I wish that I had the first time that I booked a trip. See the Disneyland calendar here. There are many ways to find discounted Disneyland tickets. 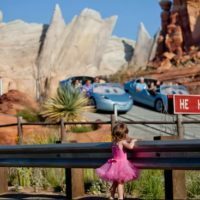 This page includes all of the best ways to safely get cheap Disneyland tickets for your trip. The page also includes an important reminder about how dangerous it can be to order tickets from unrecognized sources and to never purchase pre-used tickets off of eBay and other engines. *I know I said that everything on this list would be free. But this item is in two parts. One is free, while one will cost you a minuscule amount. 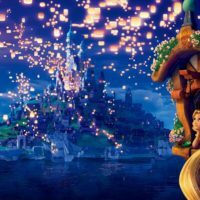 After researching Disneyland park for many years, I have come across hundreds of random different details and secrets about every aspect of the park. Those top places and secrets from the park can be found in our list of the Top 5 Secret Spots in Disneyland–> here. But, if you want all of the Disneyland secret information we have, be sure to check this out: Recently, I compiled most of my favorite secrets into an eBook and released it exclusively to our followers on Facebook and our newsletter. I have received some raving reviews of the book and am now extremely excited to offer it to everyone online. The book: Disneyland Secrets: A Grand Tour of Disneyland’s Hidden Details includes secrets from every land with the stories behind their creation and purpose. Purchase the book here. Whatever you do, don’t make the mistakes that Casey Starnes or I did when we first visited Disneyland. But, that’s a whole other story that you can read about here. 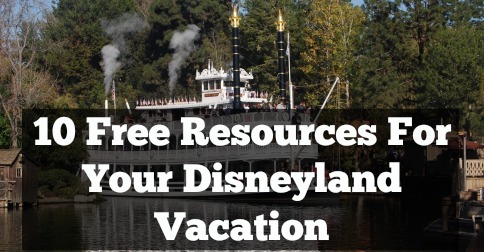 Those are just ten of our favorite free Disneyland resources that we use on almost every trip that we take to Disneyland–the happiest place on earth. For more planning information, please visit our new free resource: MickeyVisit.com where you will find our Disneyland step-by-step planning process. You should also check out our full guide to using the Disneyland FastPass system. I have compiled all of my favorite tips and tricks to make planning your trip that much easier. Please share this article and join our newsletter if you enjoyed it and if it helped you in any way. Loved the article, however there are a few links that I clicked on that said were not available. Thanks for the help Sandy.